Choosing a new selection form the Product drop down will reset all drop boxes to new values. NOTICE: If you are unable to complete your registration when connecting to our secure server link, you are using an outdated browser that does not support versions of TLS greater than 1.0. To resolve this issue you should upgrade your browser to the most recent version. This 4-day overview course focuses on the what, how and why to use an EcoStruxure Power Monitoring Expert system. Students will be exposed to power monitoring fundamentals in order to set a baseline for class. Students will practice using PowerLogic and ION meter front panels to verify the configuration of devices that already exist in the system. In a hands-on lab environment, students will use the web applications offered in PME as they are featured in this class as the extraction and analysis of data is paramount. Students will learn how to quickly extract and analyze data from their system using tools like the new Incident Alarm Viewer, Trends, Dashboards, Diagrams and Reporter. Utilize the web User Manager tool to add local users to PME. The course then moves on with an overview of one of the engineering clients, Management Console, to ensure the attendees understand how to add as well as remove devices from the PME system. The course concludes with a round-robin session to ensure that students "take away" one tangible item they will do when they get back to their location and their PME system. Anyone who will be/is using PME, or migrating from our SMS or ION platforms. This is not a course but a certification exam that consists of two parts. A written part that covers the installation and troubleshooting of hardware and communication devices. A practical portion using a VM and it is the students job to setup and configure system to project specifications There will be a time limit to complete both parts of the exam and an instructor will grade the exam looking for correct functionality and attention to details within the project specification. Upon successful certification Students will be considered as competent engineers to setup and commission PME systems in the field. Please be aware that this certification does not substitute for the skills acquired through exposure and experience in the field on real world systems. This advanced programming course focuses on systemand devicelevel customizationusingthe Designerinterface in PME software. Students will learn the architecture of the ION meter along with using the Designerinterface to examine the default frameworks. Students will be guided through a series of lab activities to creating custom applications for equipment monitoring, alarmingand logging.Students will learn to program the Virtual ION Processor(VIP)for special applications such as data aggregation, logging, and alarming.Students will then have the opportunity tocreate a custom virtual meter framework by aggregating multiple meters in the VIP and displaying the real-time and historical information from that newly created meter in the Vista application. Students will learn the differences between the default meter templates and firmware versions that can be uploadedto devicesand be able to describe each. At the end of the course, students will have created frameworks for integrating the several types of WAGES devices available and programmedframeworks that willperform process and control applications. 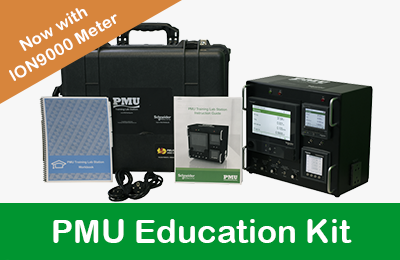 This course is designed for anyone who works with a PME system and has reasonable knowledge of the default functions of ION meters and PME software. This course may be appropriate for meter/instrumentation technicians, system engineers and system integrators who need to learn how to get the most out of their PME software and associated meters. 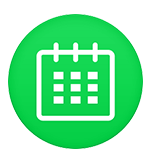 This 3-day overview course is a regional variation of the 4 Day Operator course without the Power Fundamental piece (which can be covered by watching Karls Corner). This course still focuses on the what, how and why to use an EcoStruxure Power Monitoring Expert system. Students will practice using PowerLogic and ION meter front panels to verify the configuration of devices that already exist in the system. In a hands-on lab environment, students will use the web applications offered in PME as they are featured in this class as the extraction and analysis of data is paramount. Students will learn how to quickly extract and analyze data from their system using tools like the new Incident Alarm Viewer, Trends, Dashboards, Diagrams and Reporter. Utilize the web User Manager tool to add local users to PME. The course then moves on with an overview of one of the engineering clients, Management Console, to ensure the attendees understand how to add as well as remove devices from the PME system. The course concludes with a round-robin session to ensure that students "take away" one tangible item they will do when they get back to their location and their PME system. This 3-day course begins with a focus toward power quality theory that will lead to the identification, causation and mitigation of PQ issues in a facility. You will first gain an understanding of power systems, then move on to PQ basics. The terminology and theories will be covered to lay the ground work for the application of those theories, for PQ event identification within a facility. Once those have been discussed the 3rd day will focus on the mitigation of the issues discovered and discussed, prior. The instructor will utilize various training methodologies to communicate the PQ topics. A best practices list will be developed as well. Anyone responsible for the power monitoring system in a facility from an engineering and analysis or reliability and uptime standpoint. Basic computer skills and experience with Microsoft Windows. Experience with PME or other Power Monitoring software. 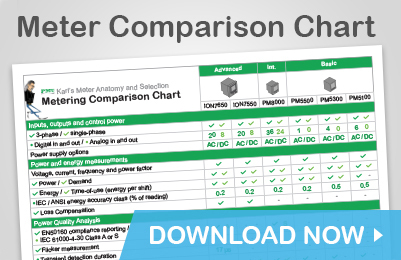 Understand and explain methods of mitigating power and PQ issues. Poor PF, Harmonics, Flicker and Voltage Regulation. 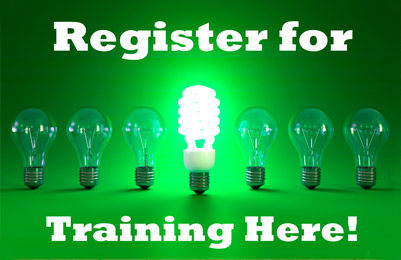 This 4-day course focuses on how to use a EcoStruxure Power Monitoring Expert 8.x (PME) system. Students will be exposed to power monitoring fundamentals in order to set a baseline for class. Students will practice using PowerLogic and ION meter front panels to verify the configuration of devices that already exist in the system. In a hands-on lab environment, students will use the software interfaces (Vista, Management Console and others) to add meters and monitor on their electrical system. Lab activities include viewing real-time, historical and alarm/events. Activities around the new web applications offered in PME are featured as well. We will teach students how to quickly extract and analyze data from their system using tools like the Active Alarm viewer (AAV), Tables, Trends, Dashboards, Diagrams and Web Reporter. This course provides a basic overview of the capabilities of a PME system and the practical skills to begin using it more efficiently. Anyone who will be/is using PME or migrating from our SMS platform. 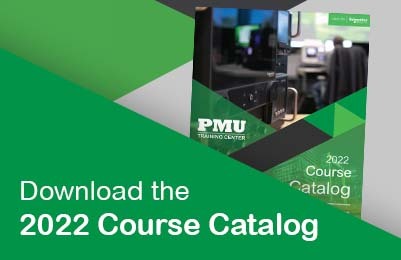 This training curriculum focuses on teaching students to manage and maintain their Power Monitoring Expert (PME) systems to best meet their needs. Students will learn how to design PME systems and plan system deployments. The students will proceed to build up their systems by adding meters, adding user accounts, configuring meter hierarchies, and building custom graphics screens. The course will also cover integrating PME with 3rd party hardware, as well as database management, system maintenance and backup, and disaster recovery. This course is designed for anyone who is responsible for administering, maintaining, and/or supporting a PME system, such as system administrators (and possibly IT Admins), as well as advanced PME users. This 4-day course focuses on installation and setup of PowerLogic and ION metering. Participants will identify and resolve meter setup issues, CT and PT wiring issues, and meter communication network issues. Participants will examine the capabilities of specific PowerLogic and ION meters and learn how to select the correct meter for different metering points in a facility. Participants will explore the features of PowerLogic communication gateways and practice setup and configuration. The ION Setup Utility will be used to display real-time data tables for the purpose of verifying that meter CTs and PTs are correctly wired to the meters. The ION Setup Utility will also be used to setup logging and event detection for each meter in the system. Participants will also create and manage a basic system in EcoStruxure Power Monitoring Expert. This course provides an introduction to installing and setting up a metering system utilizing PowerLogic and ION hardware. Anyone who will be designing, installing, configuring, troubleshooting or maintaining PowerLogic and ION metering and communication devices. This training course is an integral part of the complete Schneider Academy curriculum. The 4-day Power Monitoring Expert Project Deployment course provides students with the resources to successfully commission a “standalone” Power Monitoring Expert system. Students will follow a Standard Scope of Work to collect information from the customer, prepare the server and operating system, install Power Monitoring Expert and program the software to meet the customer’s needs. A room large enough to facilitate the instructor and the students should be reserved for the training. In addition, the room should have a PC with network access to your power monitoring system so that we can utilize your system and your data.